Alongside my love for matte lips, there has been a new generation (thanks for listening, beauty industry!) of new matte lips. Softer, creamier but still just as amazing. 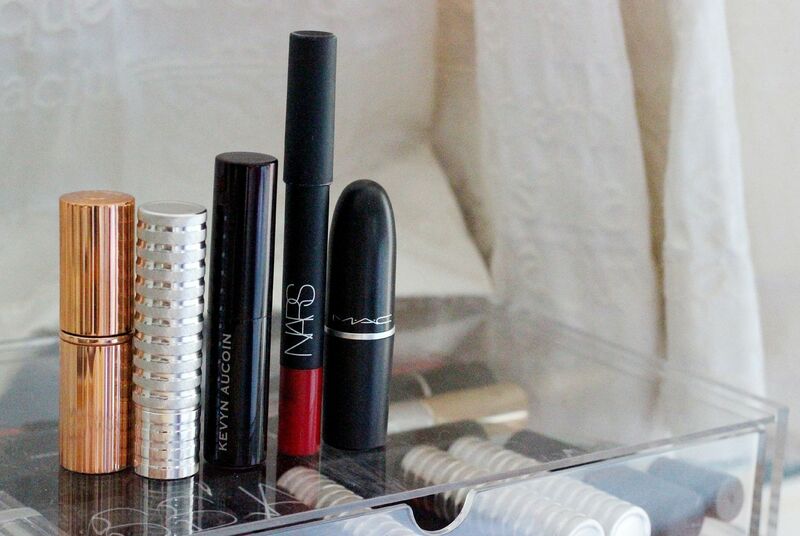 I’ve got an edited 5 recommendations for you to try if you love matte lips as much as me. Charlotte Tilbury matte revolution lipsticks – seen here in Love liberty – I have a serious girl crush on Charlotte Tilbury. There, I said it. The woman is amazing. Her newest launch, a pretty big range of matte lipsticks that promise to make lips look bigger, and not flat like traditional matte lipsticks. Really interesting shape makes it easy to apply, and the formula is pretty dreamy… creamy and light but not slippery. Not the longest lasting, but very comfortable on the lips. Clinique long last soft matte lipsticks – seen here in matte crimson – Ugh, these are seriously amazing. If dry lips put you off matte lips, try one of these and you will join the dark side. 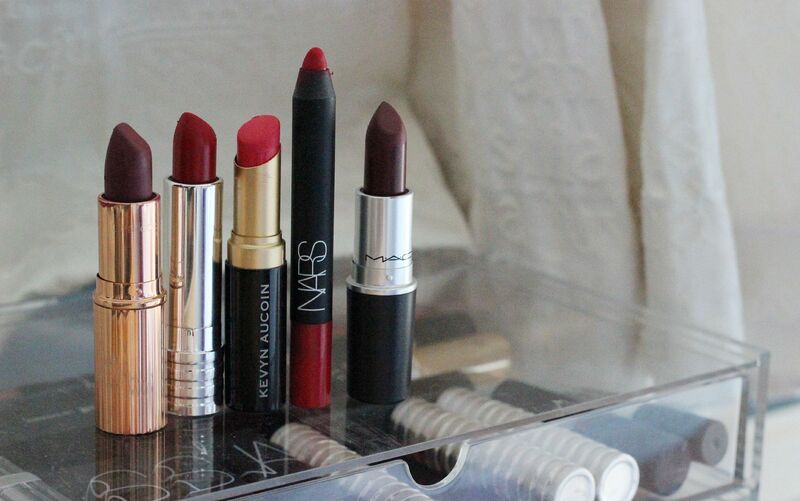 Amazing, I don’t know how they made a lipstick so creamy, so long-lasting and so effortless. Kevyn Aucoin matte lip colour – seen here in Forever – Of course something KA would be here, I am a massive KA fan girl. I hate the scent of these, though (overly lipstick-y & reminds me of something a Grandma would wear) if you don’t mind it then these are good. Not the most long-lasting, but it dries down to a sort of satin finish that is really flattering. NARS Velvet matte lip pencils – seen here in Dragon Girl – the easiest of the bunch. You can just scribble all over your lips, akin to using a giant crayola. These give a really nice, neat finish and last such a long time. Not as moisturising, but one to draw on if you want something that will survive through dinner. Lovely Sarah did a post with dupes for these from Maybelline(!). MAC (matte formula) – seen here in Hearts aflame – the finish that kick-started the entire obsession. MAC, how I love thee. If you want something that doesn’t dry but will stain and hang around all day, MAC is a good bet. Particular picks include this shade (limited edition though from Novel Romance though! ), Lady Danger, Russian Red and Heroine.